﻿﻿Serving Jackson, MO and the surrounding areas. 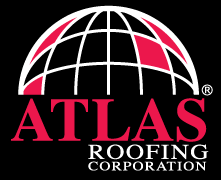 Announcing: We are now a certified and authorized Atlas Roofing Provider! Call today for details and a free quote! Whether you need basic home repairs or assistance with a more elaborate home improvement project, Stonewall Company has general contractors available to help. At our veteran-owned and locally operated small business, we work with homeowners throughout Jackson, MO. As friendly as we are thorough, our goal is to deliver high-quality work that you’ll be able to enjoy for years to come. By tailoring our services around your concerns and considerations, we'll help you avoid many of the pitfalls associated with improving your home. We believe that you deserve to be treated with the utmost care and respect, and we make a point of providing competitive rates, helpful insights, and honest advice. Regardless of your service needs, we’ll also work to promptly complete the project so that you can quickly start enjoying the spoils of your investment. When it comes to choosing a general contractor, consider Stonewall Company. Proudly serving clients throughout Greater Jackson, we offer flexible appointment availability seven days a week. For more information about us or our services, call and speak with one of our helpful associates today. Please click to leave us a review on Houzz!